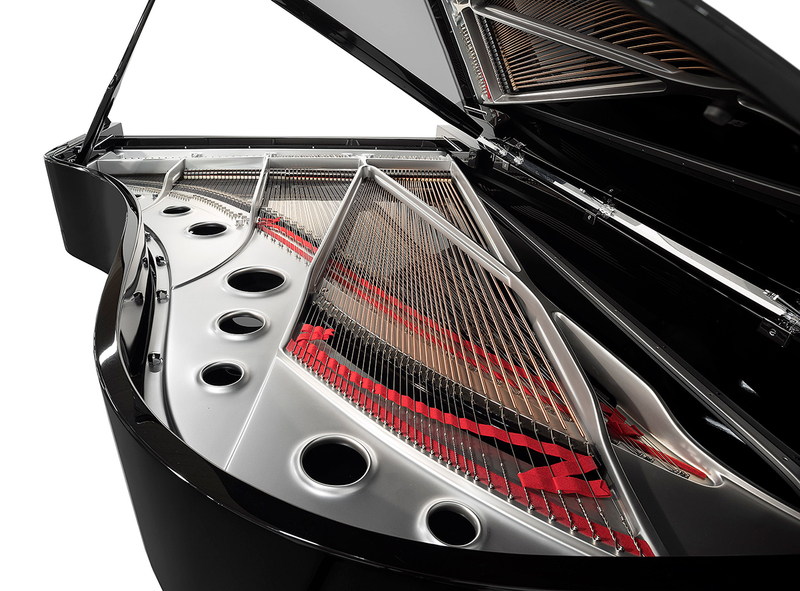 The inside of this instrument, including the soundboard, is entirely lacquered in black high-gloss polyester. 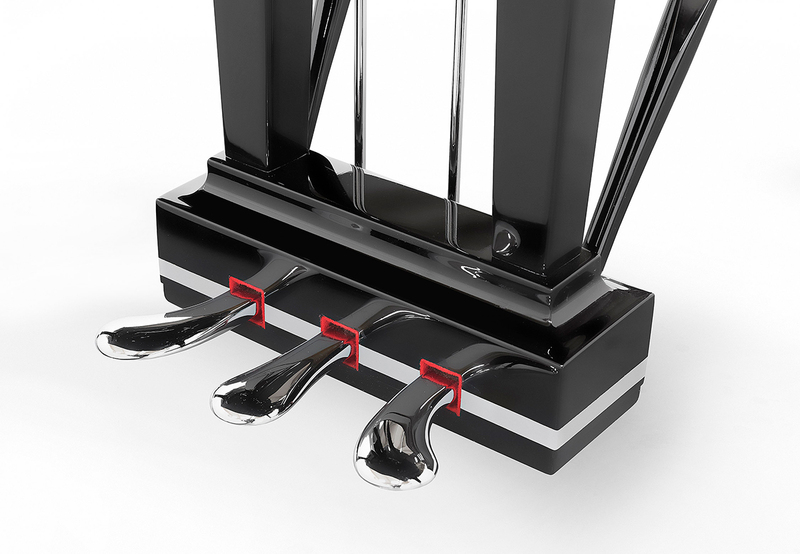 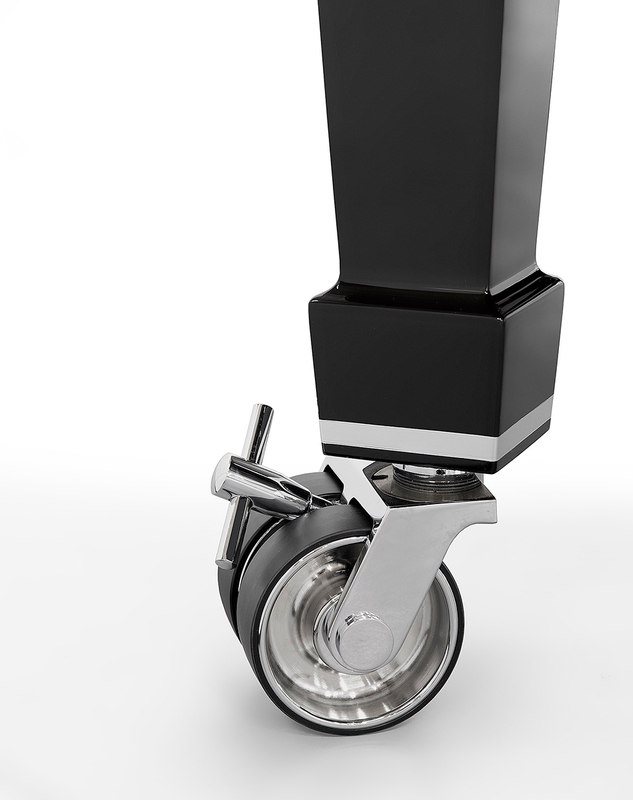 The iron frame is finished in silver and all the metallic components are chrome-plated. 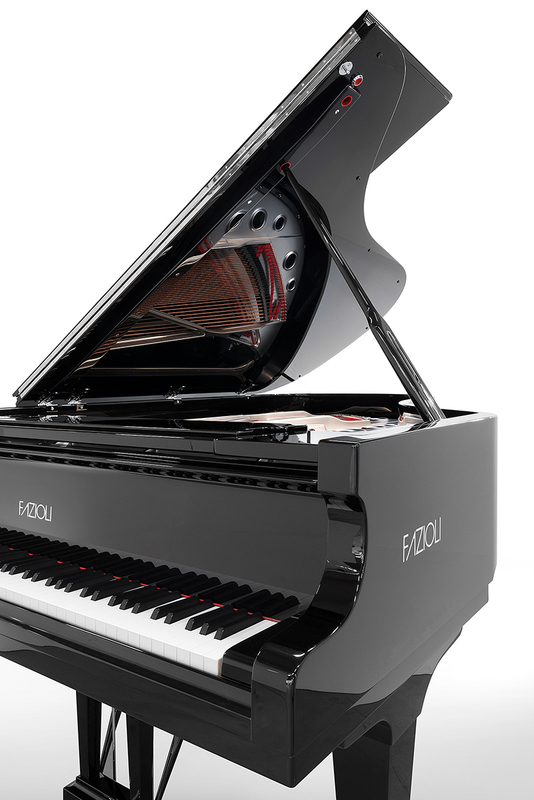 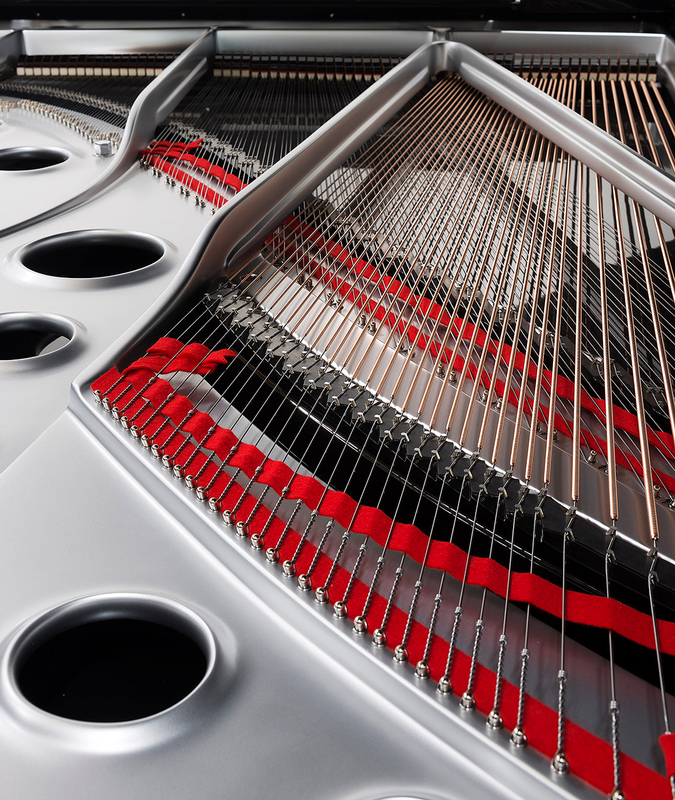 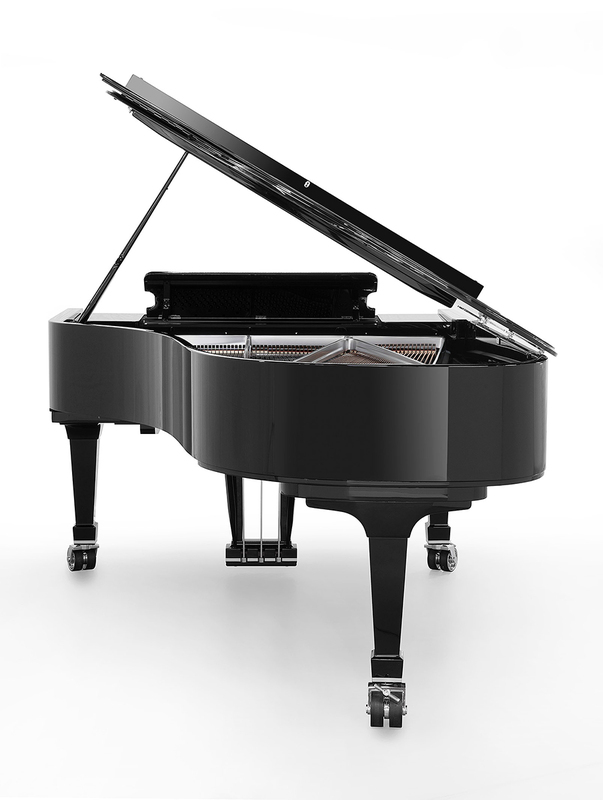 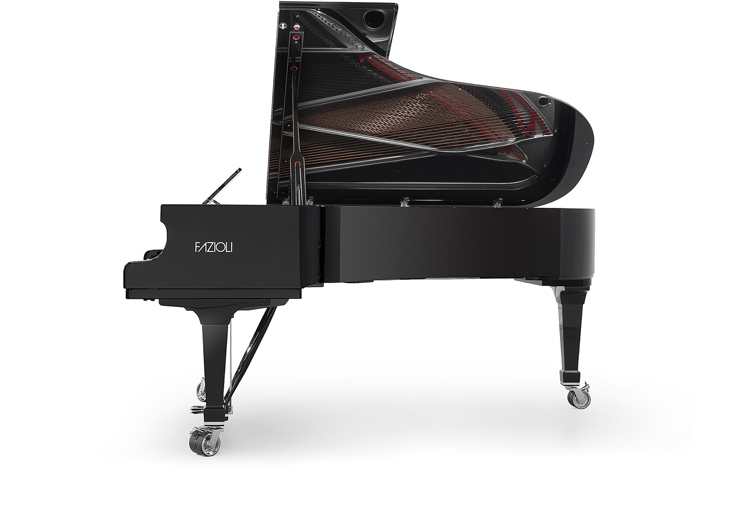 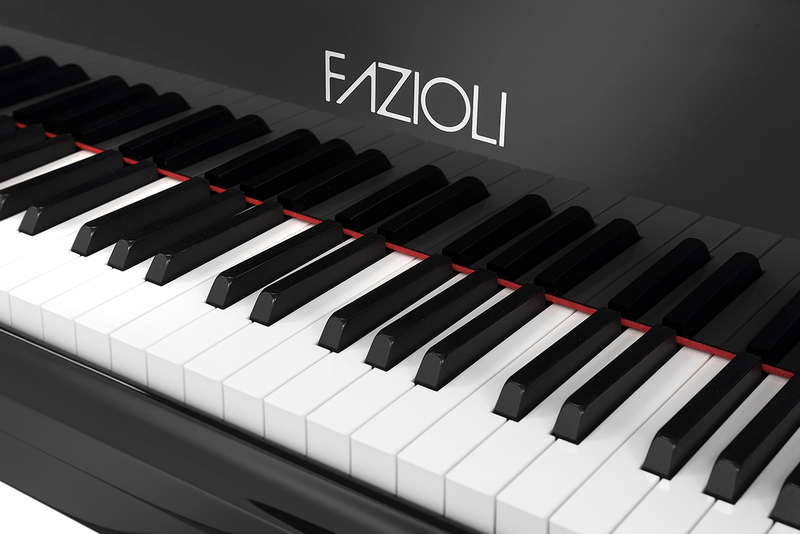 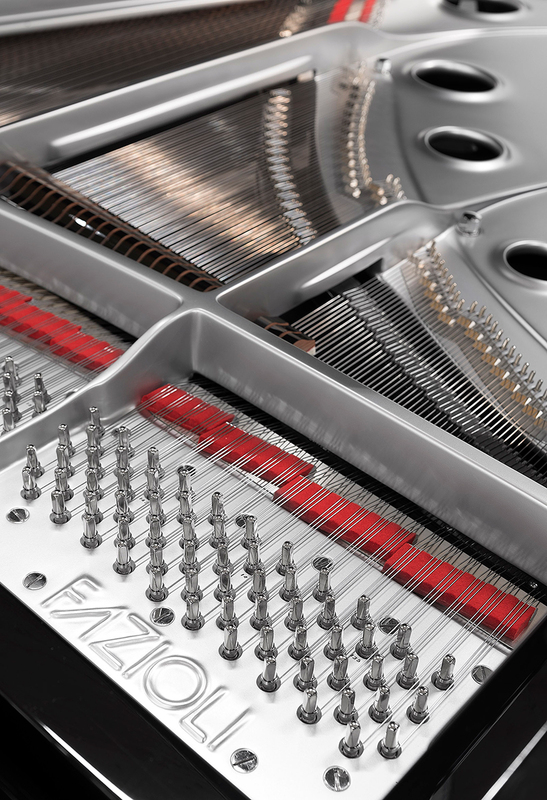 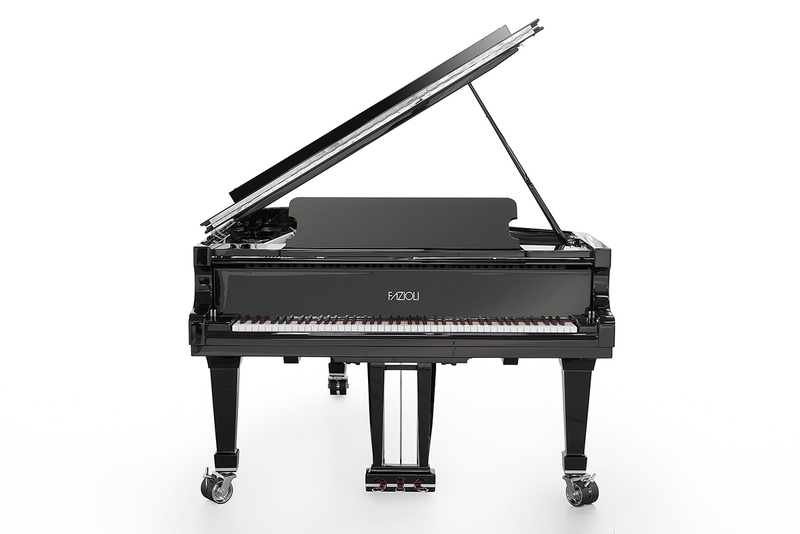 These features combine to create an unusual F228 piano, conceived by the world-famous architect Norman Foster. 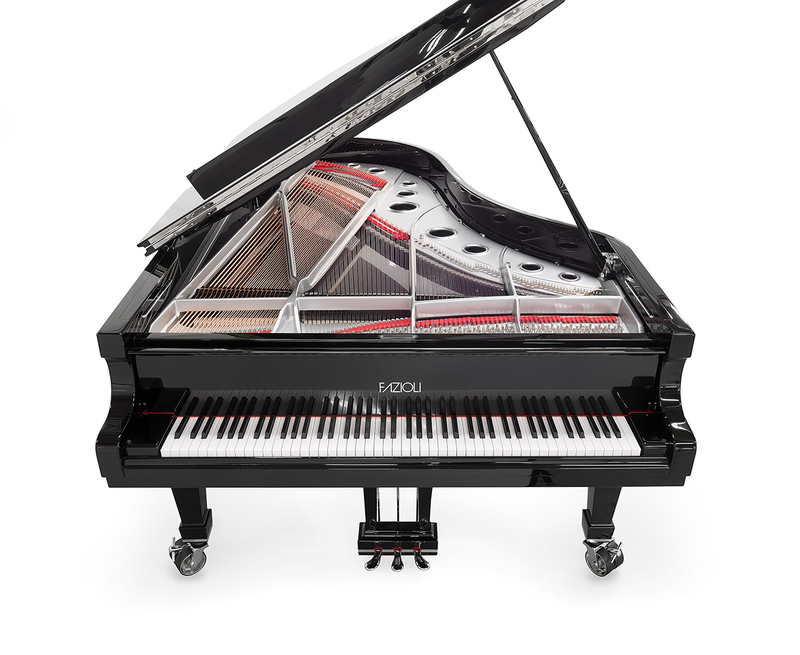 This model has been named "Silver" because of the impact created by its silver iron frame.